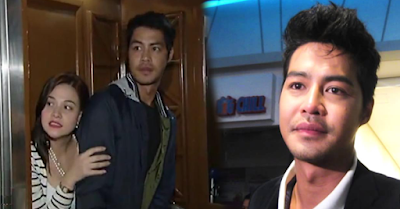 VIRAL: Zanjoe Marudo Accidentally Said Something About His Relationship with Bea Alonzo! Zanjoe Marudo and Bea Alonzo are one of the longest showbiz sweetheart that in a relationship in real life. But, months ago, there was a news about their problem within the relationship and it was spread online as many people reacted to it. This rumor was settled by the actress in her recent press-con for the "Second Chance" movie. It was all Bea Alonzo's side who is explaining the status of their relationship. This time, Zanjoe Marudo finally breaks his silence to clarify some things. He actually said the same thoughts of Bea that both of them are still happy with each other and it is still "Going stronger" and everything is fine. Zanjoe marudo stiffly said that they always make sure that their love for each will never fade. Meanwhile, many of their fans are very happy hearing his statement because they really admire this couple that so less of times being issued with this kind of problem.